Google Play Store Par Millions of Application Available He. To Kya Yeah Sabhi Application Google Ke He ? Answer is No Because Ye Sabhi Application Kisi Company, Business, Government, Individual Person Ke Hote He. Yes Koi Bhi Person Khud Ka Application Create Karke Play Store Par Publish Kar sakta He Or us Application Se Paise Kama Sakta He. To Aap Bhi Janna Chahte Hoge Ke Android Application ko Google Play Store Par Kaise Upload/Add/Publish/submit Kare ?? Yeah Process Apko Thoda Hard Lagega Par Itna Hard Nahi He Bas thik Se Step follow karne He. Hum "Android Application ko Google Play Store Par Publish Kaise Kare 5 Easy Step Me Janege. So Reading this post. 2. Uske Baad Hume Jarurat Padege Hum Jo Application Publish Karna Chahte He Uski Apk File. 3. Application Logo, Application Screen Shot/Image, Banner etc As Requirement. First Opan Your Google Play Developer Account. Ab Store Listing Pe Click Kare Or Sabhi Details Ko Carefully Fill Kare. Click Save Draft Store Listing Option Ke Samne Tickmark Ho Jayega. Apka Apk File Upload Kare Or Fir Review Par Click Kar De. Ab Apk File Successfully Upload Ho Chuka He. App Release Option Ke Samne Tick Mark Ho Jayega. Vivolance, Sexual, Language, Controlled Substance, Miscellaneous Etc Options Pe No Select Kare. Ab Content Rating Option ke Samne Tickmark Ho Jayega. Fir Country's Ke List Me Available Pe Click Kare Jise Pure world Me Koi Bhi Hamare App ko Play Store Se Install Kar Sake. Click Save Draft Now Pricing & Distributions Option Ke Samne Tickmark Ho Jayega. Ab Hamara App play Store Par Publish Karne ke Liye Ready Hai. Get Ready to Publish Pe Click Kare. Now our App Successfully Uploaded On Google Play Store Ab 1-2 Hour's Me Hamara Application Play Store Pe Publish Ho Jayega. Fir Hamara Application Play Store Se Koi Bhi Install Kar Sakta He. 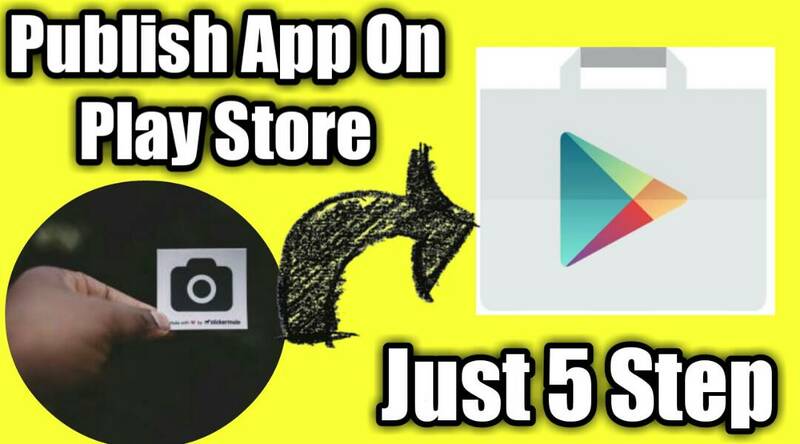 So Yeah Tha Complete Process How To Upload & Publish Your Application On Google Play Store. 1 Tab Me Yeah Post Or 2nd Tab Me Application Publishing Procces Wala Page Opan Kare Or Aap Thik Se yeah 5 Steps Follow Karke Apne Android Application Ko Play Store Pe Publish Kar Payege. I Hope You like this post Please Share This Information with Everyone. Thank you. * PopAds Kya He Isse Paise Kaise Kamaye ? 0 Response to "Google Play Store Par Android Application Kaise Upload Kare ? Step by step 2017"